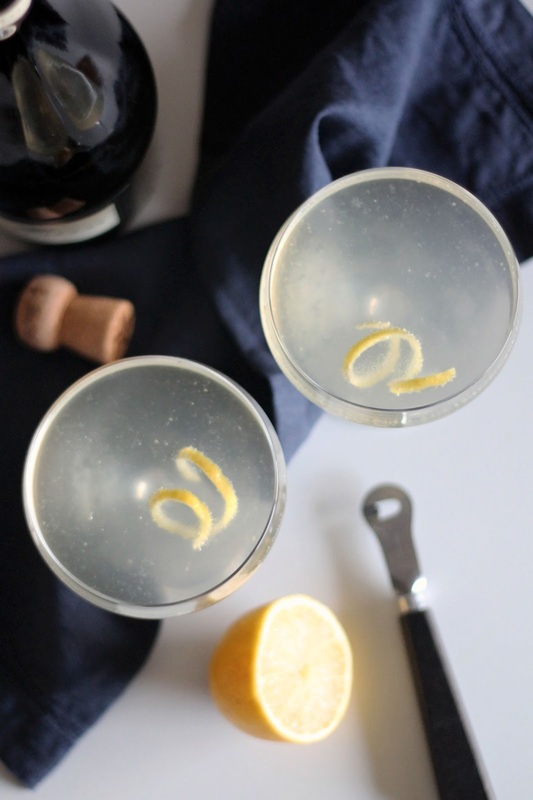 When it comes to New Year's Eve: stick with the classics. Champagne goes hand in hand with this evening for a reason, so why fix something that is broken? There is nothing wrong with simply pouring a glass of champagne and toasting the evening, but I like that start off with something a little more complex. 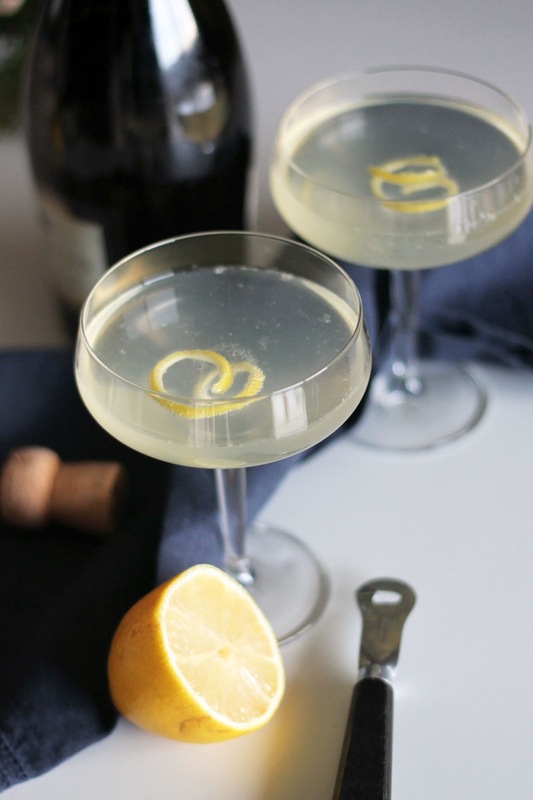 A classic French 75 is one of my favorite cocktails. 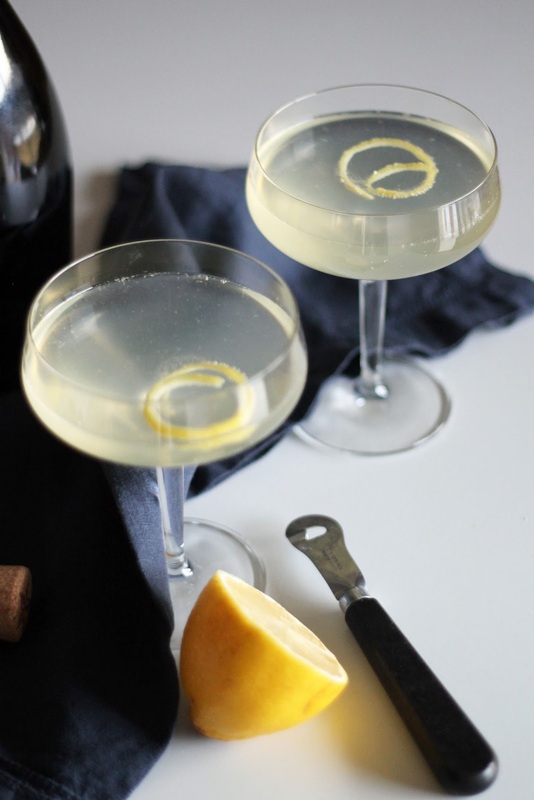 The lemon juice and gin give a subtle tartness to the sweet champagne. It is the perfect drink to have alongside an appetizer and gets the evening off on the right foot. 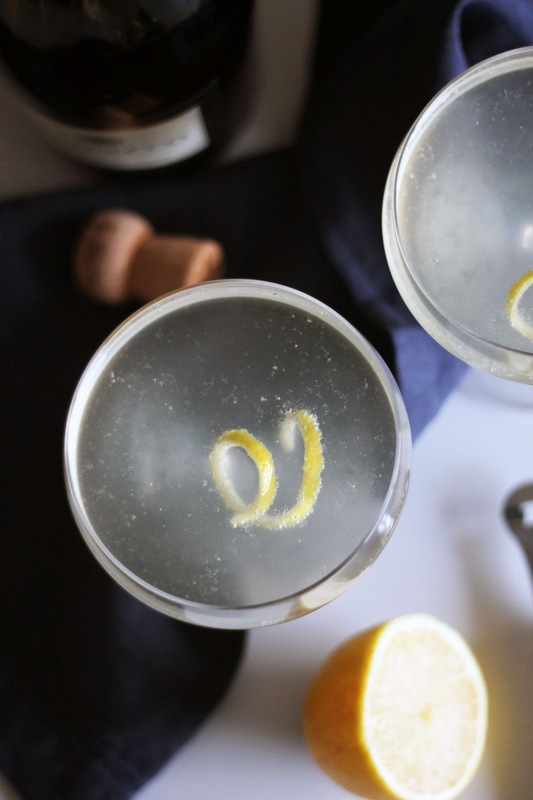 If you find yourself with a bottle of champagne tomorrow night, I highly suggest you give this cocktail a try. 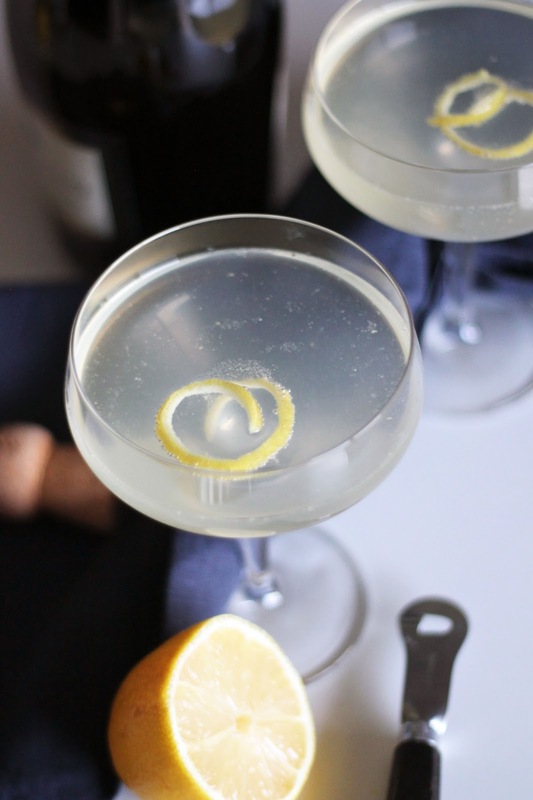 Combine gin, simply syrup, and lemon juice in a cocktail shaker filled with ice. Shake until cocktail shaker ices over. Pour mixture in to two coupe glasses. Top with chilled champagne.